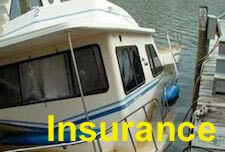 to make safe house boats! The Houseboat Safety Guide is designed for boaters benefit everywhere since nothing ruins a day more than a preventable mishap. You can be better prepared to handle the common mishaps and emergencies that can arise while out on the water. As a responsible houseboat owner, you can follow simple tips to easily provide a safer boating environment for you, your family, and your passengers. By being proactive and by being properly prepared to handle any situation or emergency, you can make a day out on the water and enjoyable experience for everyone. 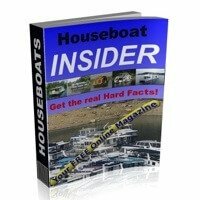 Sign-up now for our HOUSEBOAT Magazine, it's free. If you're interested in saving lives, the simplest way to promote safe houseboating is to be an example and wear a Life Jacket, or PFD. You'll find that they have improved greatly since the old life jackets that our grand fathers wore. As you can see below, they are now many models available for a wide variety of activities you're involved in. You can choose models like cool weather jackets, slim inflatable's, children's or pets jackets, canoe-kayak styles, to PWC sport vests. Cool weather Life Jackets are great around docks and marinas. Modern slim Inflatable's are the utmost in comfort and versatility. Children, or your guests children need proper fitting PFD's. Pets that wear life jackets are safer, so fit them with one. Canoe-Kayak's are great, but be properly prepared with a PFD. PWC, Jet-Ski's, or Sea-Doo's require a personal floatation device. As a responsible houseboat owner/captain, you know that there are regulations about operating a boat under the influence.Everyone wants to enjoy themselves while out on the water, but consider that many lives on board depend on your proper judgment and decisions. The wind, sun, and wave action will amplify the bodies reaction to the consumption of alcohol or drugs. Remember that many of the over-the-counter medications when combined with alcohol or drugs can have adverse reactions.If you want to enjoy yourself, wait till you are securely anchored or docked for the evening, this reduces the risk. State laws and regulations for alcohol levels. You're responsibilities as the captain on board. Carbon Monoxide is a silent, colorless, odorless killer that every responsible houseboat owner should take seriously, and start taking important steps to protect his family, friends, and guests. The steps or precautions are simple, install Carbon Monoxide detectors in all areas where exhaust fumes can accumulate, areas like sleeping quarters, galleys, engine rooms, propane furnaces, and all areas where a fuel is being burned. When a fuel is burned, carbon monoxide is a by-product released in the air. The detectors are manufactured to sound an alarm when they reach a non-life threatening amount, and alert the occupants to vacate and ventilate the premises. There exists a variety of detectors and systems for different houseboat applications. *NEW* Learn more about excellent Carbon Monoxide sensors. When it comes time to fill up the fuel tanks, there are some basic tips to ensure a safe refueling.As captain, you should have everybody leave the boat during the filling process, and close all windows and hatches. Extinguish all flames (ex: fridge, hot water tank if propane), and refrain from smoking. Be sure to ground the fuel nozzle to the fuel inlet ring. When you're finished fueling, and before going to pay, start the Engine Room Blower for a minimum of 5 minutes to remove any fuel vapors that can have accumulated.The most reliable procedure is to physically open engine hatches and use your nose to sniff for any gas fumes in the engine compartment.Once everything is OK, start the engine(s), and remember to have all your guests re-embark and continue your trip. *NEW* Learn more about unique Fuel Vapor sensors. Collisions can occur for many reasons, and in many different situations, so be prepared to handle your houseboat properly. The waterways are shared by all types of boaters, sailboats, ships, PWC, canoes, kayaks, fisherman, and swimmer to name a few. By being courteous and knowing the Rules of the Road is the easiest way to avoid collisions. 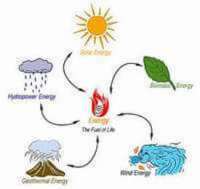 Propane gas is a wonderful product, it easily heats our houseboats, it can create lots of hot water, it can keep our refrigerators ice cold, and provides the flame for our great BBQ's. Since propane has unique characteristics that require special equipment and maintenance needs, get a yearly inspection to ensure safe operation. When looking at Houseboat Safety & Security, the proper annual preventative maintenance of fuel and propane system is imperative. 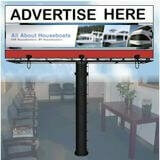 *NEW* Learn more about houseboat Propane Sensors and Alarms. One of the pleasures of houseboats is the fact that they are excellent for navigating rivers and lakes.If you're a responsible captain you will always have up-to-date charts on board for the waters you're in, and have all the basic navigational tools like compass, binoculars on hand. You can never be "overly" prepared, since bad weather, fog, or storm conditions can arise at a moments notice and be difficult for the ill-prepared navigator. Review the basic navigation list, and verify the weather forecast before departing from the dock. The peace and tranquility of anchoring in a bay or harbor is one of the pleasures of houseboating, yet many boaters feel uneasy about anchoring for the night. You should look at the bottom conditions, the weather forecast, and wind conditions expected, and plan accordingly. If you would like to successfully anchor in a variety of conditions, follow some basic tips and guidelines, and enjoy a GOOD NIGHTS SLEEP. *NEW* Learn more about proper Anchoring techniques. As your returning from a smooth boating trip, the stress and anxiety levels can really climb when you approach the marina, and the wind is blowing hard, and you know that everyone is watching you dock your houseboat, but you can easily improve your docking maneuvers. With some good communication with your crew, and a dock plan, you can easily master the techniques and maneuvers needed to put your houseboat smoothly into her slip, or at the gas dock. *NEW* Learn more about Docking Tips. The list of features and benefits of the newer Marine VHF radios are constantly expanding, and since many of the new radios are equipped with DSC (Digital Selective Calling), it allows you to access the digital channel 70 for advanced safety, calling, or emergency features. The new generation radios are designed with features like Dual Station, Wireless Handhelds, PA & Hailer functions, Weather Scan & Alert, GPS position, and easy Call/Emergency DSC buttons to name a few.There is no better time to upgrade that old radio for one that could possibly save your life, or other's nearby. *NEW* Learn more about new Marine VHF DSC radios. As technology continues to advance, so does the equipment list aboard a houseboat, and knowing how to incorporate and use it is becoming essential for captains everywhere. There's advancements in basically all areas of boating, from bow to stern, from helm to flybridge. Whether you're looking at a bow thruster for better handling, a GPS for improved electronic navigation, or Wireless Internet to access your office and emails, there's something new and exciting for everyone. *NEW* Learn more about modern Equipment. 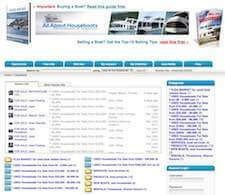 to stay connected with the important events and happenings of the houseboating world. 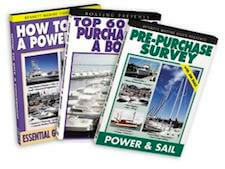 Think of it as your free personal monthly magazine, prepared for Houseboaters, by Houseboaters ! The Houseboat Magazine is FREE, and always will be? It's a great way to stay up-to-date with articles and news? Be notified of deals, discounts, and specials available to you. By subscribing, it allows us to get better deals for our members? Your email is secure and private, and will only be used for this. YES, I would like sign up, and be added to the free HB Magazine.